KfW IPEX-Bank, which is responsible for the Export and Project Finance business sector within KfW Group, presented its annual financial statements for 2018 today, reporting an overall volume of lending of around EUR 66.6 billion at year-end. “In 2018, we once again provided successful support to German and European companies on the global markets – thanks to our considerable structuring and industry expertise, we were able to hold our own on the market despite regional economic and political challenges, as well as intense competition, and granted new commitments totalling EUR 17.7 billion,” explained Klaus R. Michalak, CEO of KfW IPEX-Bank. The main driving forces behind the increase in the volume of lending from EUR 61.5 billion to EUR 66.6 billion included the above-average volume of export and project financing commitments in 2018, as well as the change in the euro-dollar exchange rate as against the end of the previous year, as around 45 percent of the loans granted by KfW IPEX-Bank are denominated in US dollars. In its original lending business, KfW IPEX-Bank provided the German and European export industry with new loans amounting to EUR 17.0 billion (2017: EUR 12.1 billion), and there were also new commitments of around EUR 0.7 billion (2017: EUR 1.7 billion) for bank refinancing under the CIRR ship and ERP export financing programmes. “The contribution made by our ‘Power, Renewables and Water’ sector was particularly noteworthy, recording new business of EUR 3.4 billion – a large portion of which was attributable to onshore and offshore wind farms. The results underscore our commitment to environmental and climate protection”, added Michalak. With a contribution to KfW’s consolidated earnings of EUR 537 million (previous year: EUR 469 million), KfW IPEX-Bank once again played a part in securing KfW’s long-term promotional capacity in the financial year under review, thereby affirming its role as one of KfW Group’s main sources of earnings. Good valuations provided the basis for the positive result. While net interest income and net commission income were down year-on-year and administrative expense rose slightly – the operating result of EUR 483 million before valuations was consequently down on the previous year’s result (EUR 581 million) – valuations led to a very good result for the business sector overall. All recognisable risks continued to be assessed conservatively, however the net positive valuation was EUR 89 million (previous year: EUR -92 million), meaning that the overall result from ordinary business activities rose to EUR 572 million (previous year: EUR 489 million). KfW IPEX-Bank GmbH, as a legally independent and separate reporting entity, recorded a satisfactory pre-tax annual profit of EUR 238 million. KfW IPEX-Bank will be aiming to maintain its strong position as a specialist bank and provider of solutions to the German and European export industry in the future, too. In order to achieve this, it will continue to add value to financing projects for its business partners through its industry, structuring and regional expertise and work closely and trustfully with other banking partners. 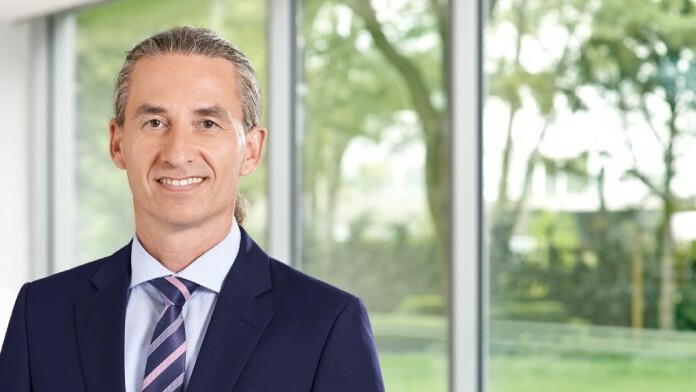 “Despite global challenges, KfW IPEX-Bank is confident as it looks ahead to the new 2019 financial year. We are planning new commitments in the amount of EUR 16.6 billion,” was how Klaus R. Michalak summarised his expectations for the new reporting year.